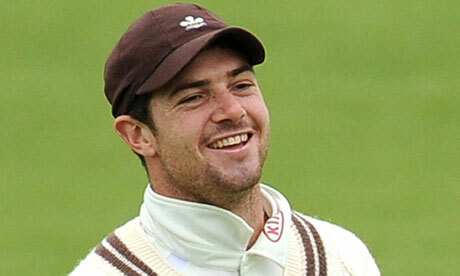 Tom Maynard did not die because he was a professional cricketer . The story of the young Surrey cricketer Tom Maynard and his tragic death has captured the imagination of the cricket world. The excellent George Dobell writes about him here. However in my opinion this is only very indirectly about cricket at all. Maynard could have been a young man making his way successfully in any profession. Young, handsome and clearly likeable he seems to have been a confident young man having fun. He could have done this (say) as a high flyer in a Merchant Bank in the City. The temptations of recreational drugs and an alcohol -fuelled leisure life would have been much the same. Indeed my guess is that professional cricket is far less likely to be a job in which young people go off the rails. You don't have to train in the gym to be a merchant banker and you don't have to keep slim and fit. Maynard did and it would seem that he was a pretty reliable professional. So the issue is not mainly about cricket or even about Maynard's managers at Surrey. Surely he would have been sacked or suspended if his lifestyle had frequently interfered with his ability to do his job? No the truth of the matter is that Maynard's personality made him vulnerable and to help him was not (just) his Surrey colleagues and supervisors' role but all of his friends and family. Maynard was not a victim of professional sport but of over-confidence and a failure to perceive his own vulnerability to the risks he was taking. He's not the first young man to do this - its desperately sad. But don't blame cricket.